"With the Droid Razr, Motorola attempts to marry the game-changing attributes of its two most important brands of the modern smartphone era. The phone is once again sleek and sharp like the latter half of its name would imply, but bold and limit-pushing like the former. So how successful is Motorola at merging form and function in its latest phone?" If you're not familiar with the Droid Razr it's a very thin Android phone that packs a powerful 1.2GHz dual-core processor and 1GB of RAM along with 16GB of storage and it comes with an additional 16GB card. It also has a 540x960 4.3" display. This review covers a little bit of everything about it. One thing that's noteworthy is apparently the Droid Razr has better battery life than any other LTE Android phone. The reviewer also said the call quality was "really good", better than he is used to, and he doesn't mind the UI that Moto put on this thing adding that it has some nice features - much improved from the old Blur that so many people hated. On the downside he didn't love the Super AMOLED Advanced qHD display. Read the full review for all the details. 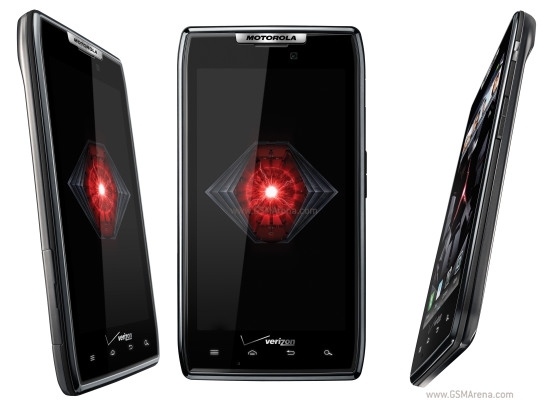 Will the Droid Razr be your next phone?